Precision is the premise – extraordinary skills specifically in the game above the table and in passive play characterize the V1.1. The feedback upon the ball´s impact is hard and direct and facilitate self-analysis and –correction. 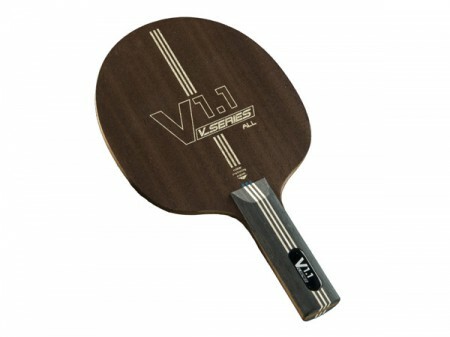 Being one of the faster allround blades, the V1.1 also provides qualities for spin oriented topspin openings.